It was a tiny feather, not more than an inch and a half in length, pale gray and barely discernible against the matching gray surface of the sidewalk. And then there was a second feather as well. It’s unlikely that I’d have noticed them at all if a little breeze hadn’t blown them about just as I came along. This was in mid-August, and the House Sparrows that nest in the hollows and crevices under the eaves of the building that houses Chico Natural Foods were beginning their fall molt from breeding plumage into their winter feathers. Most birds molt once or twice a year, and of a variety of reasons the most common is to replace old worn feathers. But they may also molt from a lighter summer plumage into a heavier plumage in cold areas where they intend to stay on through the winter. In addition birds molt in and out of breeding plumage, and adolescent birds molt into their adult feathers. Molts can enact quite startling transformations. 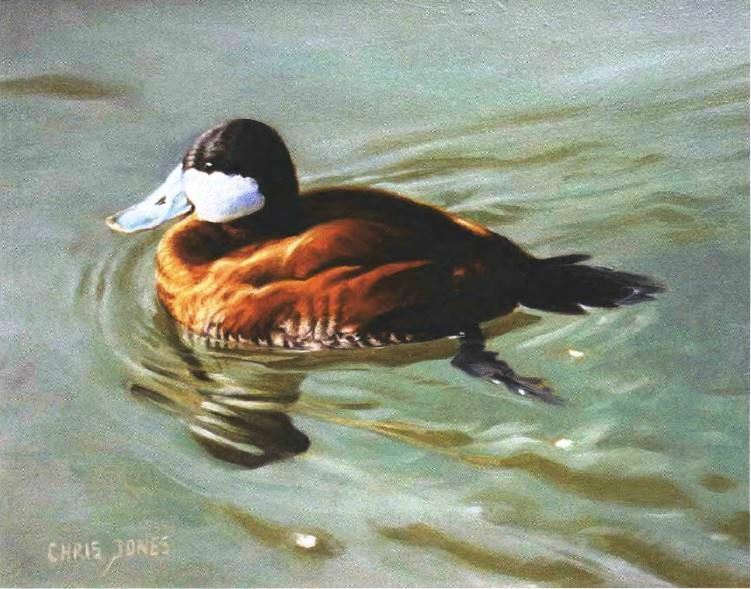 The little male Ruddy Duck, for example, common to North America, is a rather nondescript bird in its winter plumage, brownish overall with pale sides, a slightly darkened cap and white cheeks being its most distinguishing features. But when it molts into breeding plumage, its whole body turns a deep ruddy red and its large flat bill converts from a rather drab gray to a brilliant, luminous blue, its contrasting white cheeks flashing on and off with every turn of its head like mirrors deflecting the sun.